Let go of stress. Find peace and relaxation in the country among God’s friendly creatures. Classes are held inside the barn in case of inclement weather. 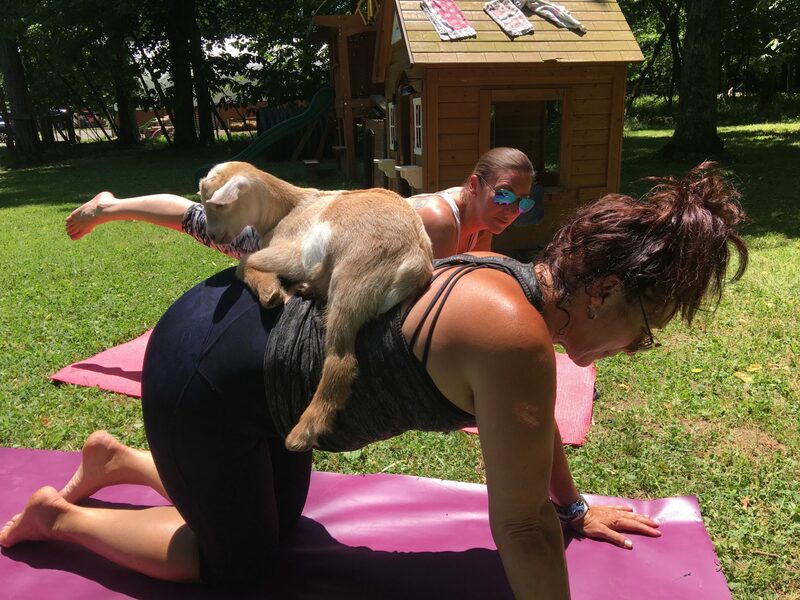 Children must be at least 10 years old to participate in Goat Yoga and a parent must be present. Yoga Mats are available for a $5 rental if you don’t own one. Class length is 75 minutes which includes a meet & greet with goats. You will learn about the benefits of yoga and also learn about goats and what makes them so special. The Goat Yoga Class Saturday 10:30 ticket is sold out. You can try another ticket or another date. The add yoga mat ticket is sold out. You can try another ticket or another date.